There are new trends in technology seemingly popping up every few weeks and one that has caught our attention are super-focused subscription shopping sites that fit a very narrow niche. We told you about one such company a few weeks ago called Love With Food that sends you a basket of snacks every month. Another service called GuyHaus lets men set up a simple shopping list to ship directly to their doorstep. But what happens when tech entrepreneurs “grow up” and have families? They start sites like Wittlebee, which comes to you via former MySpace employee and current CEO and Founder of Fine Folks, Inc, Sean Percival. Percival’s company is funded by the red-hot Science, Inc., a technology “studio” with former MySpace CEO Mike Jones at the helm. As a parent and a technology entrepreneur, I appreciate any product or service that makes my life easier and gives me more time to focus on my family. Parents today are already pulled in a million different directions, I saw an opportunity to automate shopping for basics by giving families access to our personal shopper mom squad who put together the ideal package of clothing for each child. I have been tracking the subscription commerce trend for several months. I knew I wanted to make an entry into it with something for parents. I like these properties that have a narrow focus because it allows them to really super serve their audience. In most cases the result is a very compelling offering, something you won’t find in retail or on Amazon.com. By paying $40 a month, you can fill out a simple questionare about the type of style that suits your little one, including their favorite colors and personality. 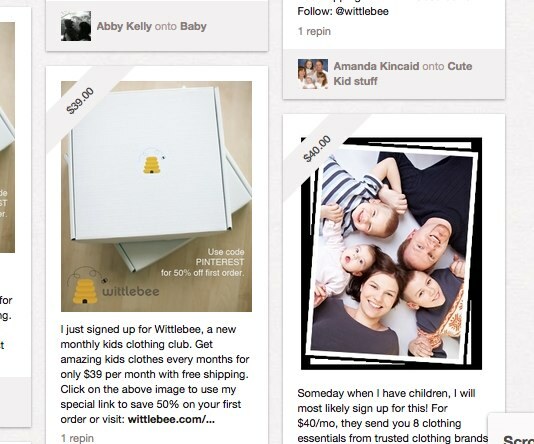 Based on this “profile” of your child, the Wittlebee shoppers will curate a box of clothing for you and ship it right to your door every month. This style of site takes the browsing completely out of shopping and the trend is on fire. 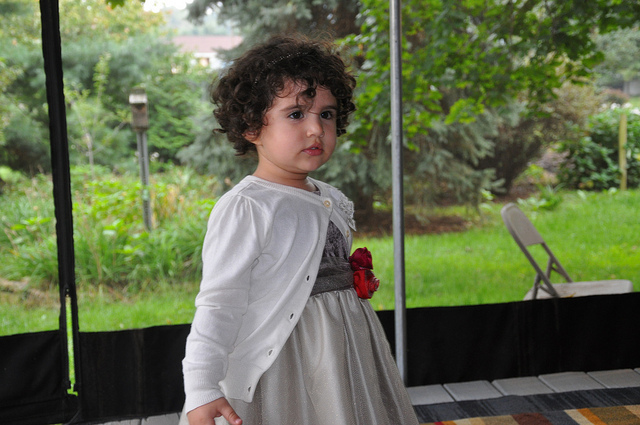 Another trend that Wittlebee is capitalizing on is the rise of Pinterest, which we’ve noted has a huge female audience. Pervical told us that just by adding “pin-it” buttons to the site, the traffic coming back to Wittlebee has been immense. The site also offers a 50% off promo code for first time customers. The code is PINTEREST, of course. By honing in on a niche audience of shoppers who would rather not have to hit the mall to do their very specific shopping, anyone with passion and vision can set up a site like Wittlebee. While curating these boxes isn’t easy work, it is a sign of the times that big e-commerce sites like Amazon might start losing their luster. Forget searching and long live curation!